Located just three miles southeast of Downtown Atlanta, east of Ormewood Park and south of Edgewood, East Atlanta has recently been called “the best kept secret in Atlanta” by the Washington Post, “the epitome of cool” by Creative Loafing, and “one of the Top 10 emerging ‘big city’ neighborhoods in the country” by the Fannie Mae Foundation. Through the hard work of local residents focused on revitalization, East Atlanta has become one of the hottest Intown Atlanta real estate markets for people looking to buy a home and embrace an urban lifestyle. 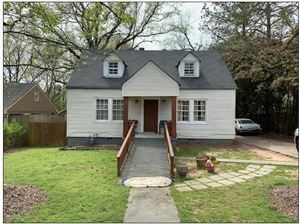 Looking for a home in East Atlanta? Click HERE to search for East Atlanta homes for sale. As evidenced by its “locally grown” East Atlanta Village farmers market and its “locally owned” retail shops, East Atlanta is a neighborhood where its residents believe in the importance of investing in their community to ensure its long term success. They also believe in welcoming people of all cultures, ethnicities and lifestyle choices to be part of the community they continue to build. Nothing displays this more than East Atlanta Village, located at the intersection of Glenwood Avenue and Flat Shoals. A highly walkable urban area, with an eclectic mix of restaurants, pubs, bakeries, bookshops, bike shops, clothing stores, friendly bars and music venues, the area is delightfully edgy, unique and even a little quirky. Home to some of Atlanta’s most-talked-about music venues, including The Earl, Union and The Basement, East Atlanta is a prime location to find national headliners and well-known celebrities performing, dancing or just rubbing elbows with the locals. 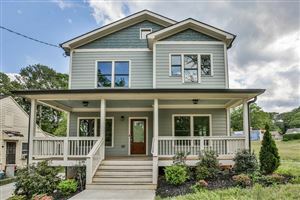 Homes in East Atlanta and surrounding the East Atlanta Village are primarily bungalows, Victorians, post-war ranch-style homes, and a few newly-constructed or a little bit older Craftsman-style homes. Listings on this website come from the FMLS IDX Compilation and may be held by brokerage firms other than the owner of this website. The listing brokerage is identified in any listing details. Information is deemed reliable but is not guaranteed. If you believe any FMLS listing contains material that infringes your copyrighted work, please click here to review our DMCA policy and learn how to submit a takedown request. © 2019 FMLS. Data last updated: 4/25/19 4:11 PM PDT. Walk Score provided by walkscore.com.